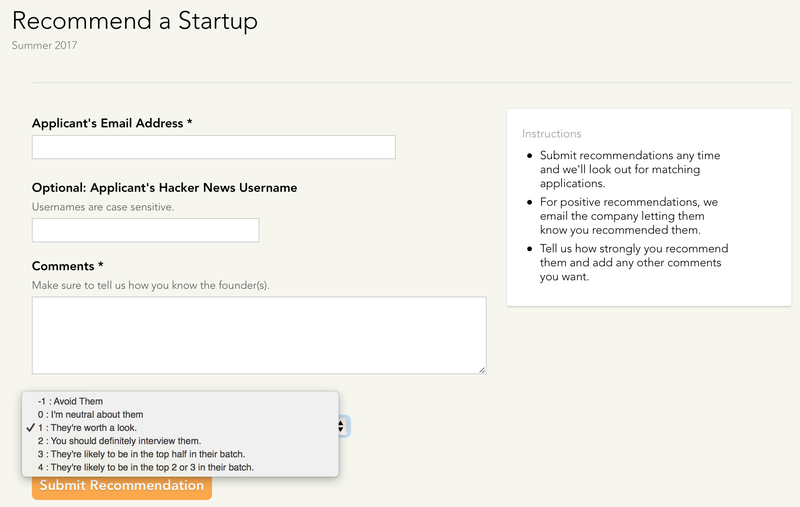 After years of accepting tips from alumni, Y Combinator has decided to open up its recommendation network to everyone. The goal is to help increase the number of startups connected to YC by allowing professors, mentors, early customers and anyone else familiar with a team to submit recommendations to YC on their behalf. Kat Manalac, a partner at YC, explained that a lot of founders are afraid to apply to the program because they fear they are either too far along or not far along enough to be accepted. YC wants to help founders, who might be on the fence about applying, commit to trying. Manalac added that a number of teams accepted to YC credit mentors and investors with convincing them to apply. The optics of accepting recommendations might cause some founders to feel like they are a necessary part of their applications. To the contrary, YC does not want to send the message that recommendations are needed to get accepted to YC. Most venture capital firms, either formally or informally, use the warm referral system to cut through deal flow — YC does not. The accelerator has always believed in democratizing networking in the tech industry by simply not requiring it. The same is true for recommendations. You don’t need to line up an all-star cast and have Marc Andreessen, Michael Moritz and Elon Musk vouch for you to impress the startup gods. To that point, Manalac said 60 percent of companies had no recommendation from YC alumni in the last Winter 2017 batch. You can get a glimpse of what the page looks like below. YC is accepting both positive and negative recommendations — requiring endorsers to concretely say how likely the given company is to end up as a home run. In a few years that should surely make for some interesting analysis.